Are you ready for 3 hours of creative exploration? Grab your coffee and a pad of paper and let the hustle begin! 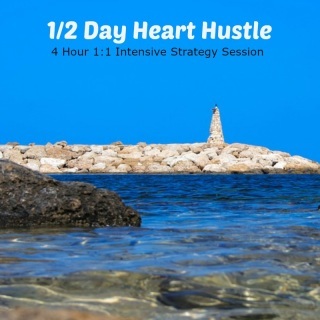 This is a FAST action 4 hour strategy session, with NO sugar coating or fluff! Foundation Assessment ~ Niche, Ideal client, Location of ICA, social media platforms, positioning, offering, discovery calls, sales calls, follow ups & scheduling. NOW assessment ~ Assessing what's working and what's not. WHERE assessment ~ Where are you spending your energy and is the most bang for your buck? Personality assessment ~ Let's not take this the wrong way...But fact, if you are being boring, watered down, ordinary in your messaging, content & voice you will not attract clients. Time assessment ~ We evaluate where every moment of your day is being invested. Social media ~ What are you using? What could you use? Why aren't you using it? Recording of our call will be sent to you via email. You will have 30 days of unlimited email and PM support. You will get a 45 minute follow up session to be used within 30 days of initial session. You will be included in the year long Kindred Circle if you choose at a VERY nice "thank you" offer. Insanely fast, lots of URGENT info. covered, idea generating mad machine with lots of heart & hustle! If you want quick, this is the way to get up & go! NOT 100% sure this is the way to go: Let's have a FREE business coffee chat! Click here! 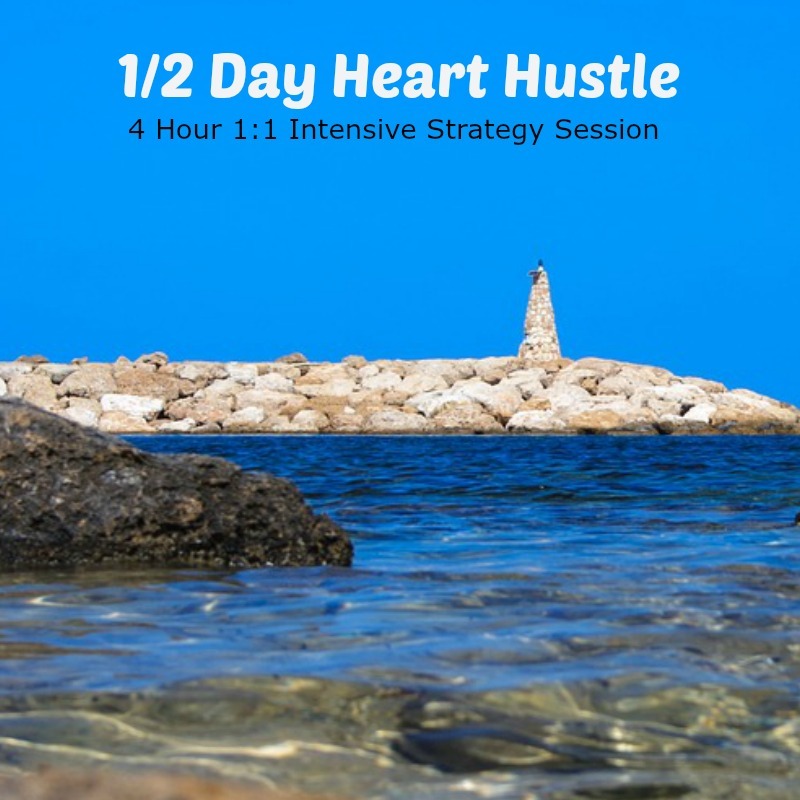 3 hours of strategic intervention for you & your business! 1 hour follow up 30 days later. You come ready to do whatever it takes! You are done with the fears, limiting beliefs, blocks & most importantly excuses! You are ready to use the tools, strategies & tips to move forward & take the action! You're willing to be totally honest about what's stopping you, so we can tear down those walls & build you & your biz UP!